What should you do if you live in a smaller apartment and want to create an illusion of more space? There’s an easy solution for accomplishing this goal without spending a fortune, and it involved no more than a lick of paint. 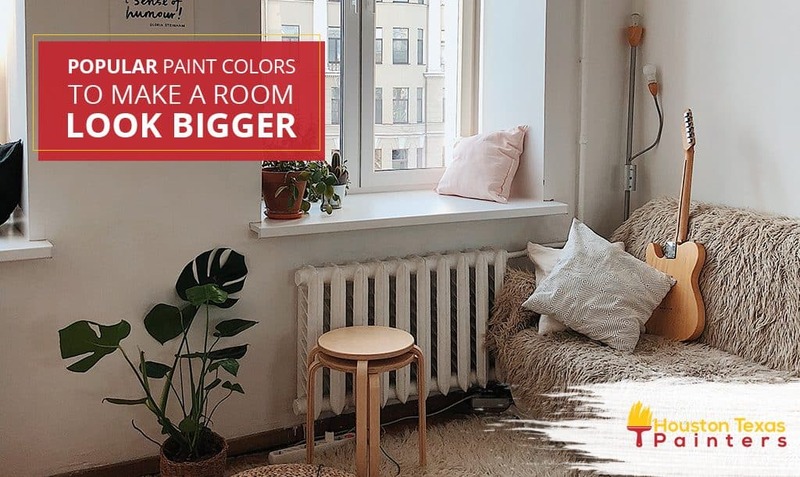 Whether you call in the residential painters or decide to do the brushwork yourself, we’ll give you some ideas on what colors make a room look bigger and brighter. 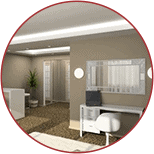 As a general guideline, lighter and brighter colors can make your room more reflective. 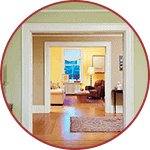 We’ll give you a headstart on that front with a summary of 5 of the most popular paint colors to make a room look brighter. Using a traditional monochrome style can work extremely well. Although black and white décor is particularly suited to a room with more minimalist décor, it’s a versatile look that also works well with more traditional designs. The contrast between dark areas and expanse of white serves up a great balance while also seeming to add a few square feet to a room visually. While on its own, black will absorb the light, but when placed as a contrast, you’ll get the optical illusion of space you’re looking for. If you task the home painters with splashing some muted pink about the place, this is an excellent method of injecting some striking color that will reflect the light and make space seem roomier. As well as using pale pink for subtle accents on the walls, you can also paint some furniture if this feels right. Pink is a stereotypically feminine color but don’t let that dissuade you if you’re a man living alone. A few pink accessories like pillows or throws can help to give you the same effect as painting the walls. An inbuilt advantage of using lavender is that it complements white very neatly so you can achieve the contrast that is key for making a room seem larger than it really is without a single color dominating. You can also tie in some much brighter colors with lavender that would crowd the room if used in isolation. Using turquoise paint will impart a very light and airy look to add to the natural light you get in your room. You can tie in the aqua tones with some much brighter patches of color to achieve the same goal of contrast, central to opening out an area effectively. If you find the idea of white too stark and clinical, a muted dove gray works wonders as an alternative. The calming nature of gray will function alongside a broad spread of other colors making it a versatile option if your agenda is making a room look bigger. 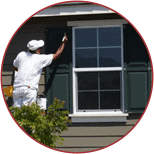 Not everyone is a dab hand with a paintbrush so it might well be necessary to call on the help of some home painters. 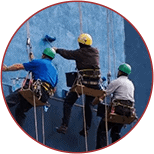 Whether you’re on the hunt for decorating indoor or some exterior home painting, once you’re clear on your objective, life becomes much easier.